Here are my views on those F1 drivers from 2012 who didn't make my top 10 ranking I published a few days ago. My top 10 drivers of 2012 can be read here. From about seventh place downwards in my ranking a number of drivers were in close contention with each other. Those who came particularly close to making the top 10 (in no particular order) were Sergio Perez, Michael Schumacher, Pastor Maldonado and Paul Di Resta. 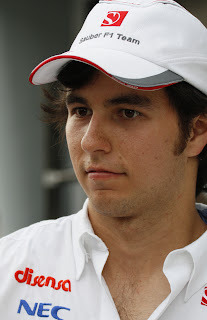 Sergio Perez is perhaps the most glaring omission from the final cut, given his season featured three memorable podium runs in Malaysia, Montreal and Monza. There he showed astounding confidence and verve and found pace to sail through the field like he was operating with different laws of physics to anyone else, and further he gets his big break for 2013 with a move to McLaren. But Sergio's problem is that an F1 season lasts 20 races, and aside from the three races mentioned there wasn't a great deal to write home about. There was one good race (Hockenheim), a couple more in which he was unlucky to start at the back (Melbourne and Monaco) and three more where first lap contact put him to the back (Spain) or wiped him out altogether (Spa and Brazil). But in the remaining races you'd hardly know that he was there. And worse, in the latter part of the year and with a signed McLaren contract in his pocket he threw errors into the mix too. He binned it in Suzuka (trying to pass Lewis Hamilton - the guy he's replacing next year - no less) then making what looked avoidable contact with other cars in each of the next four races. Rumour has the top brass at Sauber believing that Perez is inconsistent, and that the C31 was a better car than he tended to make it look. And what about those podium runs themselves: how much of those were down to Perez's driving and how much down to the peculiar magic touch of the C31 on the Pirelli tyres if voodoo-like factors aligned? Next year, in the McLaren glare, we'll start to get answers to some of these questions. Of course, it's a fantastic opportunity and he is young and has time to improve. But at the very least all at McLaren would be forgiven for having some doubts about its new charge. Indeed, some recent comments from Martin Whitmarsh seem to betray as much. This year we finally witnessed the swansong of the great Michael Schumacher. Debates about the wisdom of his comeback will continue to rage no doubt, but this year Schumi continued his year-on-year improvement since his return in 2010, and for the most part drove more than respectably. The qualifying gap between him and Rosberg was closed for the first time, and he was often the more convincing in races too, particularly in the year's mid-part when the lemon-like characteristics of the W03 became obvious. The main problem Schumi had was that intangible quality called luck. The opening round in Melbourne summed up his season: he qualified fourth (ahead of his team mate) and was running strongly in third...then his hydraulics went. In no fewer than six of the first seven rounds something impeded or stopped Schumi through little fault of his, and over the piece there were five mechanical retirements for him (compared to Rosberg's big fat zero). Without the bad luck it would have been fascinating to see if he could have beaten Rosberg's points total. There were errors in there from Schumi: he drove into the back of opponents in Spain and Singapore while missing his grid slot in Hungary was particularly embarrassing. And another point in the debit column was that, following confirmation that Mercedes wouldn't be requiring his services from next year, Schumi's performances became a little tepid (perhaps understandable given Merc had turned a lot of weekends into effective test sessions). Still, he was never going to go out with a whimper and all of his guile and bravery were on show in Brazil, in changeable conditions recovering from a lap down to finish seventh. Has any F1 season ever scaled the heights and plumbed the depths as Pastor Maldonado's 2012 campaign did? The crowning glory for him was of course in Barcelona, when the reached the mountain top of a race win. Not only that, it was the drive of a habitual winner; aside from Lewis Hamilton's grid penalty no luck was required, he simply went out and won it with pace and aggressive strategy, and under pressure late in the race he was flawless. Some talked of a new found maturity; a few even talked of him as a championship dark horse. But he blotted his copybook almost immediately with a clash with Perez in Monaco practice which looked borne of rage. And this started a run wherein he didn't score again until October, but managed to hit things - be it scenery or other cars - with regularity. Things weren't always as clearly-cut his fault as some assumed, and sometimes his reputation went before him with stewards' sanctions, but the accumulative effect was undeniable. However, following his nadir weekend in Spa, where he squeezed in a grid penalty, a jump start and hitting Timo Glock into no time at all, he appeared to start to pick his way out of the rubble and give the impression that he just might have learnt from his misdemeanours. For the year's remainder much of the pace remained but he began to ally this with keeping his nose clean. And he could well have finished on the podium in both Singapore and Abu Dhabi with mechanical reliability. Williams of course has 30 million reasons to retain Pastor, but we should make that 30 million and one: his raw pace is astonishing, particularly over a qualifying lap and indeed he started in the top three on four separate occasions in 2012 (five if you include Belgium). Plus he has skill in getting life out of the Pirelli tyres for longer than most. Thus, all in, if he can avoid the rage and clumsiness Williams will have an ideal driver for the current formula. Paul Di Resta's season started well and by the start of the European season he looked all set to build on his promising debut campaign; future McLaren and Mercedes moves were widely touted. He further had the upper hand in the intra-team battle with Nico Hulkenberg: he was 5-1 up on race results after six races, as well as 5-2 up in qualifying after seven. His smooth, precise and relentless driving, wherein he'd ghost regularly into good points positions, where all on show, particularly in Bahrain where he finished sixth. But then came the Hulk's fightback, he got more on terms with Di Resta as spring gave way to summer and as the season progressed more and more firmly got the upper hand, all the while showing an aggression that Di Resta is yet to show consistently. There were still some good showings by Di Resta in there, particularly a career-best fourth place finish in Singapore (where he gave Alonso something to think about in the late laps) and he would have likely have been close to Hulkenberg in Spa but for his KERS failing. But then it got worse for Di Resta, when from Japan he endured a series of underwhelming performances spent far behind his team mate, culminating in the season-ender in Brazil where he wasn't on the same page as Hulkenberg and ended the race, and the season, in the wall. Di Resta attributed many of the struggles to chassis problems, but it might not have been coincidence that they came in the aftermath of McLaren and Mercedes drives being snapped up by others in quick succession. The Hulk's rising star probably didn't help either. It's premature to say that Di Resta's reputation is damaged, but it has certainly entered some choppy waters. With Hulkenberg off his case Di Resta needs a bounce back in 2013. And with his most obvious paths of career progression closed off for now he needs to find some motivation from somewhere. 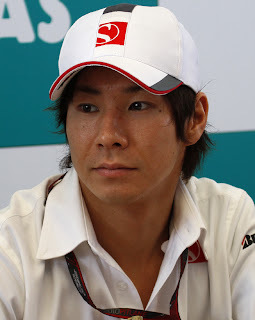 To go through the rest of the drivers in the order of the numbering brings us immediately to Kamui Kobayashi. At the time of writing it looks like 2012 may have been the last we'll see of his unique brand of F1 racing. Of course, the lack of a pot of gold behind him is a major impediment to his career prospects, but just like with Perez rumours abounded that Sauber felt that Kobayashi wasn't making the most of his C31 this year. His drive in Japan to finish third was sublime (and the reaction of his home crowd was fantastic), while his drives in Germany, Spain and Abu Dhabi were good. But elsewhere the feeling persisted that you expected more, and there was also a bit too much of the Kobay-crashy in there: there were incidents at Valencia, Britain (running over his pit crew), Korea and India where he showed poor judgement, while a spin in Brazil cost a better result. But it also all shows the fine margins that often divide moving up and moving out in F1: there were only six points between Kobayashi and Perez in the final drivers' standings, both had seven points finishes this year and the qualifying match up was only 11-9 to Perez. Yet the Mexican is off to McLaren and it looks like Kobayashi will be required to find alternative employment for next year. This year we witnessed the latest chapter in the curious tale of Toro Rosso. Jaime Alguersuari and Sebastien Buemi were dumped at the end of 2011 with hardly a backwards glance, and new models Daniel Ricciardo and Jean-Eric Vergne parachuted into their places. As before though it always seems a little harder to judge Toro Rosso drivers than those at other teams, given the lack of a clear yardstick in the Faenza line up. The task was further confused this year by the underwhelming STR7 (and, in fairness to the team, no one there sought to blame the drivers for the poor results), though James Key's arrival mid-season did herald an upturn. Still, Ricciardo had a decisive edge in qualifying, being ahead of Vergne 16 times out of 20 and often by several tenths. Bahrain was his high tide watermark where he started sixth. Indeed, Vergne often looked edgy on a qualifying lap, making mistakes and sometimes binning it, and his session finished in Q1 no fewer than eight times (compared with it happening only once to Ricciardo). But Vergne seemed the slightly faster in the races and also had a knack of moving into good points positions, and four eighth places put him ahead of Ricciardo in the final standings. Ricciardo was more the consistent though, scoring six points finishes to Vergne's four and was also more prone to mix it with the big guns, such as at Suzuka and at Abu Dhabi. The word on the street has Ricciardo ahead of Vergne in the Red Bull pecking order, which given the Australian's greater one lap pace, consistency and aggression - combined with what Red Bull usually looks for in a pilot - is understandable. But the brutal truth is neither have yet made a compelling case for promotion to the A team. And with António Félix da Costa beginning to pace around in the waiting room neither can leave everyone waiting for much longer. On planet Red Bull history has a tendency of repeating itself. Bruno Senna is possibly the nicest guy in the F1 paddock, and did a great job to raise the finance required to secure the Williams drive for 2012. But to be frank he wasn't quick enough this year, particularly in qualifying. 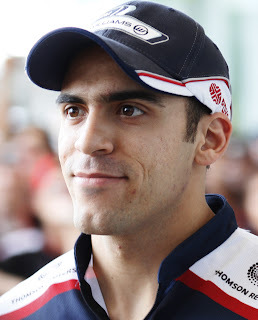 And had it not been for Pastor Maldonado's extended run of failing to get to the finish unscathed the points gap between the two would have reflected that fact much more starkly. In Senna's defence, one can point to the fact that he missed many first practice sessions to make way for Valtteri Bottas, but Bruno knew in advance that would be the score plus other drivers in the same situation (e.g. those at Force India) didn't seem nearly as put back by it. Saturdays were Bruno's major problem though as his race pace was usually pretty solid, it's just that poor grid slots tended to give him way too much to do. Hungary, where he qualified ninth and finished seventh helped by a system of heating the front wheel rims to assist tyre temperature, looked a lot like a breakthrough but it proved a false dawn. Elsewhere, finishing sixth in Malaysia showed his speed and sound judgement in changing conditions, while his races in China and India were also good, and by the end of the year he toted up no fewer than 10 points finishes reflecting that he can usually bring the thing home. Only in a scrappy Singapore weekend did he let those standards slip. But it wasn't enough to save him and next year he makes way for Bottas more permanently. He may yet be able to buy his way into another drive, but it appears his F1 career is by now hanging by a thread. Onto the (now) not-so new teams. 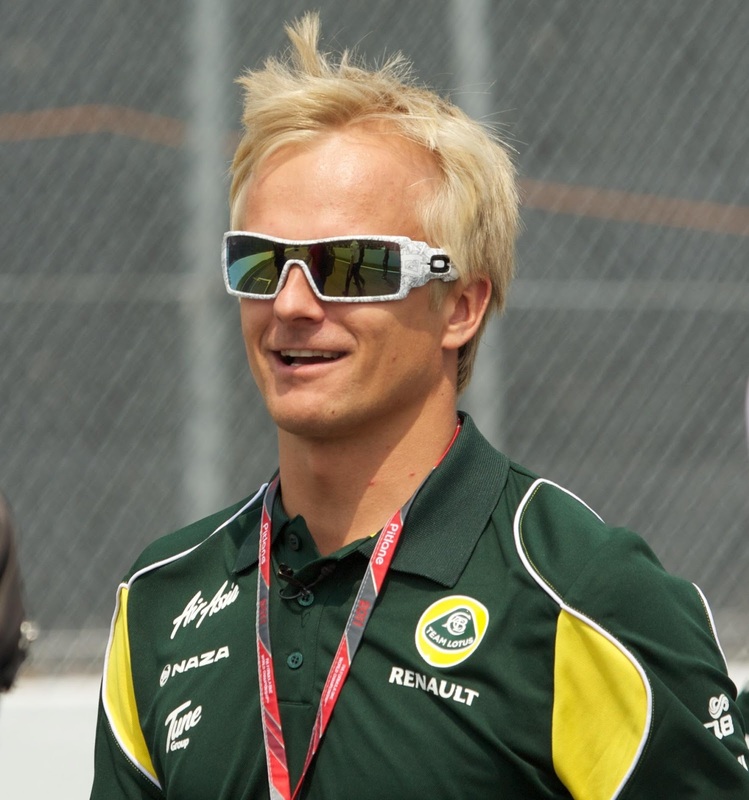 Heikki Kovalainen spent most of the year as usual doing as much as possible (and perhaps a little more) with a car that remains maddeningly shy of the midfield. On the rare occasions that fates allowed he was a nuisance to the midfielders, most memorably at Monaco where he held off Button for much of the race's duration (though Jenson claimed it was done with a little too much vim) but also in the early laps at Canada, hanging onto the Toro Rossos in Hungary as well as his race at Abu Dhabi. He also got into Q2 at Bahrain and Valencia. Mistakes were also rare, and Heikki finished 19 of the 20 races. However, performances seemed to slip a little in the season's latter part, his Spa weekend was scruffy and his stable mate Vitaly Petrov started to get on top of the two from Singapore onwards. Was this improvement by Petrov, (understandable) exasperation from Heikki at having to try to make a silk purse out of a sow's ear for the third year in a row, or did he know his time at the team was running out? Word has it that Caterham needs a pay driver for 2013, and that's not how Heikki rolls. It remains to be seen whether the team salvaging tenth place in the constructors' table and thus securing more cash is enough to save him; the man himself didn't seem too convinced of that after the Brazil race though. Having won a last-minute F1 reprieve with a Caterham gig for 2012, Vitaly Petrov did not disgrace himself. He got much closer to Kovalainen than Jarno Trulli usually managed, particularly in the races. There was a bit of time-honoured Petrov blowing hot and cold in there, and early in the year he was persistently a few tenths shy of Kovalainen's pace, but let's also not forget that he came to the team late (Trulli took part in the first pre-season test). But in the end Petrov out-qualified his team mate no fewer than eight times and from Singapore, when Petrov got a new engineer, he was often the more convincing of the two Caterham pilots on Saturdays and Sundays. Indeed, it was he who secured the team its vital tenth place in the constructor's standings in the final race at Brazil by coming home 11th, ambushing Charles Pic for the place late on. Unfortunately for Petrov, he's about to find out that if you live by the chequebook you die by the chequebook - the dough has now run out it seems. And thus he'll likely not be on the grid at Melbourne next year. Once again, the HRT was no machine to allow us to draw definitive judgements about its pilots. Both Pedro De La Rosa and Narain Karthikeyan spent the campaign persevering with the F112. And 'persevering' is the word, in a car that often didn't have brakes capable of lasting a race distance and was rumoured to be running parts beyond their operating life in the year's latter part. But neither HRT driver is incompetent and both did about as much as could be expected in terms of staying out of trouble (despite the odd Seb/Red Bull grumble about Karthikeyan) and lasting as long as the car allowed. De La Rosa was invariably the quicker, qualifying ahead 17 times and often by several tenths (sometimes by more than a second). Indeed, De la Rosa out-qualifying both Marussias in Monaco was a feather in his cap, as was nearly doing the same at Suzuka. In Karthikeyan's defence, often he was much closer to his team mate in the races and it was never clear the extent that HRT was able to prepare two cars to the same level. Indeed, Karthikeyan seemed to get the lion's share of car failures and was using an older spec floor at the year's end. Unlike HRT, Marussia made solid signs of progress in 2012, getting everything under one roof and the car seeing a wind tunnel for the first time for its in-season upgrades. Its cars even got (relatively) close to the Caterhams on pace by the year's end, and of course it came oh-so close to claiming P10 in the constructors' standings. But despite this, the cars remained in something of a competitive vacuum, thus making it again difficult to assess its drivers, apart from against each other. Timo Glock you felt again did just about everything he could. Indeed, on drivers' tracks he showed up well: getting P14 in Monaco, P12 in Singapore, finishing just eight seconds shy of Kovalainen in Suzuka as well as only 25 seconds down on him at Silverstone. 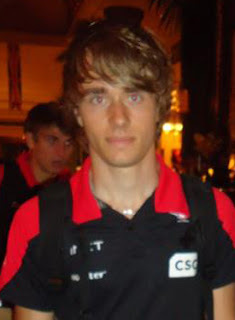 The only conspicuous faults were a scruffy time of it in Spain and Pic putting him in the shade briefly around mid-year. Glock probably sometimes wonders just what has happened to his F1 career, and with both money and youth craved by F1 teams further up the grid (Glock isn't big on either) it's not at all clear where he goes from here. It looks like his fate is tied to Marussia's. His team mate Charles Pic is on the move though, winning a (slight) forward step with a move to Caterham next year. This follows a year wherein he was a quiet revelation, though it wouldn't have been a surprise to those who charted his pace shown at every level in his junior formulae career. Pic started in Melbourne with next to no F1 experience (only a few test days in last year's car) but he impressed his team and many others with the rate he got up to Glock's speed both with full tanks and on a qualifying lap. By Spain he had genuinely out-qualified Glock by half a second. And while Glock remained usually the quicker, it was Pic's weekends in Germany and Hungary that really turned heads, leaving Glock far behind in both and setting midfield lap times in the latter race. There was the odd sprinkle of inexperience featuring, such as passing under red flags in Singapore, but his maturity and avoidance of error was strong too. He'll be one to watch in years to come. And now. And let's not forget the solitary variation from the usual 24 drivers of 2012, Jerome D'Ambrosio appearing for one weekend only, replacing the banned Grosjean in the Lotus at Monza. And it's hard to fault how he did having been thrown in at the deep end. He perhaps could have been slightly quicker in qualifying, but in the race he lost KERS early which left him impeded. Still, his pace was decent given everything and with a functional KERS he might have claimed a point. It built on a respectable debut year with Marussia, but D'Ambrosio is finding that there are many more qualified drivers that there are available F1 seats. 'Twas ever thus.